Following the press conference of Microsoft earlier today, EA opened their E3 2014 presentation with work-in-progress footage from Star Wars Battlefront. The game is currently in development at EA DICE, and the developer showed footage of development crew visiting set locations from the original movies and using original props as reference for the game. Some in-engine shots were shown, but no actual gameplay was released. More will be revealed in early 2015, but the trailer is available here. EA acquired the license to the Star Wars IP when developer LucasArts closed its doors last year. Following this trailer, EA CEO Andrew Wilson officially opened the event and stated that more than a dozen new experiences would be revealed during the presentation. He also emphasized that EA is looking to do things differently, and will be more open about the projects it is working on and the state that these projects are in. He indicated that the presentation would not only focus on games that will be releasing in the coming months, but also show games that are still at a very early stage of development. Wilson’s introduction was followed by a in-engine trailer for Dragon Age: Inquisition, accompanied by a live cello-player. Aaryn Flynn, the general manager for BioWare’s Edmonton and Montreal studios introduced a gameplay trailer that showed the player and his party facing off against a dragon. The player can either choose to control his party as in the previous two installments in the franchise, or switch to a top-down view in which the game can be paused. A trailer that introduced four characters followed, with the player able to ally him or herself with a Grey Warden, an Elven commoner with a bow and daggers, a Qunari mercenary, and Vivienne, an ambitious mage. Dragon Age: Inquisition is slated for a release on October 7th and the newly released “Lead them or Fall” trailer is available here. The presentation continued with a glimpse of the new title in the Mass Effect franchise. The developers from BioWare Montreal indicated that players wanted to explore new parts of space and meet new characters following the most recent installment, and the new title will allow them to do that. They emphasized that the transition to a new generation of hardware has allowed them to make games bigger and better than before. A developer from BioWare Edmonton indicated that his team is working an entirely new IP, though additional information is scarce. 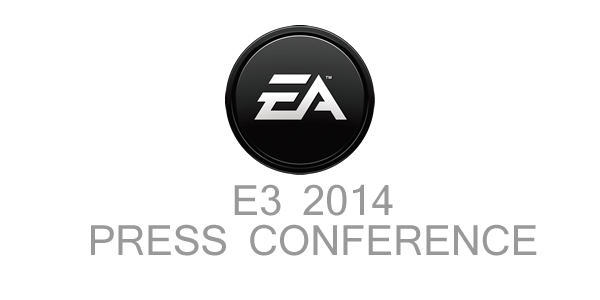 The presentation from BioWare was followed with an in-depth presentation of the Sims 4. For the first time, players will have control over the personality and emotions of their digital characters, giving them access to a whole new layer of gameplay. Interaction between Sims has become deeper and more meaningful, and it is now also possible to have your Sim die of laughter. The Sims 4 is releasing on September 2nd. EA Sports took over the stage after that, with Brian Hayes from EA Canada showing a gameplay demo from the upcoming UFC title, slated for release later this month. The showed a fight between BJ Penn and Bruce Lee, with the latter knocking out his opponent. This was followed by Dean Richards presenting a trailer for NHL15. For the first time in the history of the franchise all players and the puck will be affected by physics, which is possible thanks to the transition to the new generation of hardware. A in-engine trailer was shown and is available here. Patrick Söderlund, the executive vice president of of EA Studios introduced the new project Criterion Games is currently working on. The video that accompanied it showed developers explaining that they have been inspired by action cameras and videos posted on Youtube to make a with more vehicles than just cars. They specifically mentioned helicopters, ATVs, boats, wing suits, cars, and parachutes would be usable in-game. The game, which does not have a name at this time, is being designed as a full first-person experience. The video in which Criterion explained its new project is available here. Continuing for EA Sports, Cam Weber showed a trailer for PGA Tour, which will launch in Spring 2015 and boasts the most realistic courses ever. In addition to that, it also gives players access to more fantastic courses such as Wake Island from Battlefield 4. According to him, it would be possible to hit the golf ball over the battleships. Following PGA Tour, a trailer for Madden 15 was shown. The focus for this installment in the franchise was to make defense more interesting and to give players more control. Madden 15 is launching August 26th. A video explaining the design philosophy behind EA’s MOBA Dawngate was shown. The developer emphasized that they did not want to copy other MOBAs on the market but instead broke the experience down into components and crafted something entirely new from it. It has been co-created alongside players from the very beginning and has a strong focus on a story arch. Characters in Dawngate are designed to be flexible and can fulfill any role, resulting in the ability to create your own tactics. The video for Dawngate is available here. Andrew Wilson returned to the stage to point out that the approach taken with Dawngate is part of the new philosophy at EA, and that they are listening to player feedback more than ever. A video followed with the reveal of the long-rumored sequel to Mirror’s Edge, currently in development at EA DICE. The video goes into the design process of protagonist Faith and the feel of the game, and shows off some gameplay from an early prototype. No release date for the game was revealed and the video can be found here. Just as with many other EA Sports titles presented during the EA event, FIFA15 is the first title in the series to developed entirely for the new generation of hardware. It is slated for a release this fall and features an all-new physics system. In addition to improvements to controls and visuals, the game also has authentic visuals with regards to the stadiums themselves. The developer has tried to capture the feel of every stadium and the supporters of every team, giving every match and location a different feel. The EA presentation ended with an extended gameplay demo of the recently-leaked Battlefield Hardline, which is a collaboration between EA DICE and Visceral Games. The demo showed a 32-player match in which robbers are attempting to heist armored trucks andmake off with the loot. The demo can be viewed here. The Beta for Battlefield Hardline went live during the presentation, and those interested in trying out the closed beta can sign up for access through this link. At this time, the beta is only available for PC and Playstation 4 users, but others can try out the game at public booths in Los Angeles this week.